In 2014, the Conservation Trust gave the Friends of Lewes Trees Committee nine elm whips, from cuttings taken from surviving trees in Hove (a whip being a small sapling about 75cm in height). After almost five years growing them on from 4” pots to 11” ones, it was clearly going to be some time before they would grow large and robust enough to be suitable for planting as street trees for Lewes. Instead, the Trees Committee has planted them in Vert Woods Community Woodland, near Laughton. We are very grateful to VWCW for giving them a protected space on either side of what will become an avenue of Elms. Three of the trees were planted on New Year’s Day 2019, and the rest were planted in April 2019. This adds to the growing collection of Elms at Vert Woods, many of which were planted as part of the “Bring Elms back to the South Downs” project. We hope that they will encourage the White-letter Hairstreak butterfly, which breeds on Elm species, especially on the edges of woodland rides. The numbers of these butterflies declined in the 1970s when its food source was reduced by the effects of Dutch Elm Disease. The elm varieties planted are: Ulmus hollandica Wentworthii, Ulmus rugosa pendula, Ulmus Hollandica virens, (Kidbrook), Ulmus laevis, (White Elm), and Ulmus coritana, (Minor). 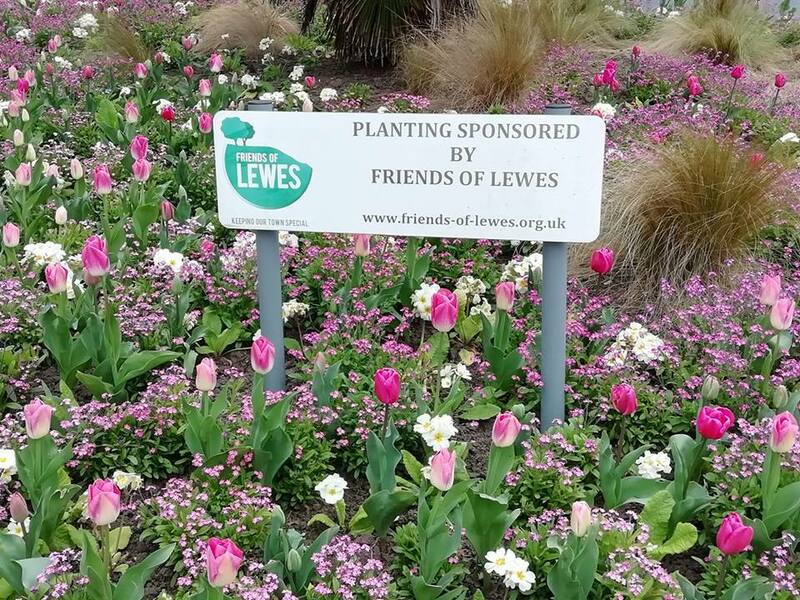 Lewes Mayor Janet Baah is passionate about the young people of the town, which has led her to invite one hundred girls from schools and colleges across Lewes to the Town Hall for a day of brainstorming and events. The girls will articulate their hopes for the coming ten years. These declarations will be put into ‘The Box of Hopes’ – a time capsule to be opened in 10 years’ time – which will be the anniversary of 1928 when all women in Britain got the vote. 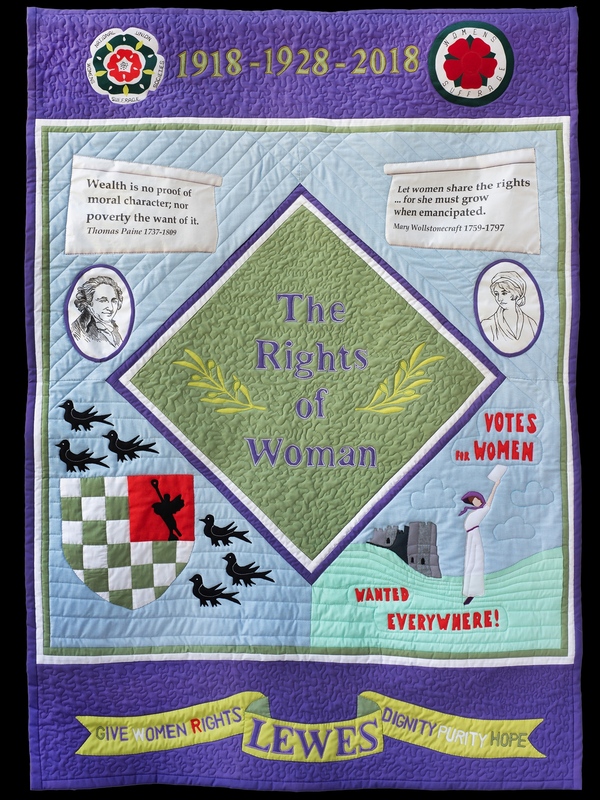 This event is a collaboration with the Edward Reeves Archive project, who will be showing their ‘From Suffrage to Citizenship’ exhibition, about the fight for woman’s suffrage in Lewes, which was curated to commemorate the first women getting the vote in 1918. A banner, a handmade quilt, created by local artist Heather Downie for this event, will be unveiled and put on permanent display in Lewes Town Hall. The Friends of Lewes sponsored the framing of Heather’s banner. The poet Grace Nichols who is resident in Lewes will read a poem, and musicians from East Sussex College will perform. 30 dignitaries have been invited, including East Sussex’s Lord Lieutenant and High Sheriff, MPs, three Resident Baronesses, as well as representatives from the Police and the Chairmen of Lewes District and East Sussex County Councils.